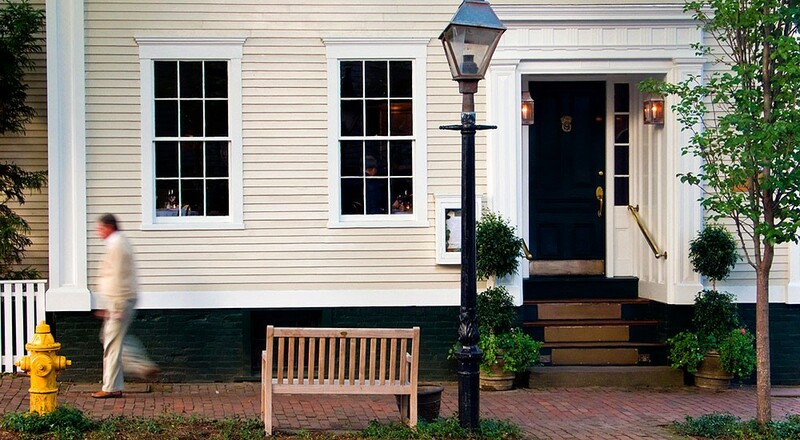 I have written several times (most recently here) about our favorite Nantucket restaurant, 21 Federal. With our next Nantucket visit approaching, 21 Federal crossed my mind this morning, so I went to its website to check out this summer’s menu. To my astonishment, I discovered that it no longer exists. In spite of our earnest efforts to negotiate a lease with Nantucket Island Resorts for 21 Federal, it is unfortunate that we were not able to do so successfully. 21 Federal will remain a treasure and a most special island institution in our hearts. I thank the owner, Nelson Doubleday, a man of honor and integrity, for his kindness and support over the many years. Moreover, I thank the wonderful, dedicated staff for all their hard work, professionalism and personal efforts. Lastly, I thank the legions of customers, our loyal guests, who made it a pleasure to work at 21 Federal. A hearty Godspeed to all of you! I do wish the new operators of the 21 Federal Street building great success in their new endeavor. Further research revealed some news from last winter about plans for a replacement. For instance, a post from February at a local Nantucket blog (to which I have now belatedly subscribed) fills in some of the details about what lies ahead. 21 first opened in 1985 as a year round fine dining restaurant under owners Chick and Mary Walsh, Michael Maloney, and David Fine. Nelson Doubleday became the majority owner sometime in the 90′s, and did not to renew his lease this year. Sometimes it’s hard for us Seattleites to remember what season it is. The weather has been pleasant here of late, with high temperatures around 70. Mid summer seems far away. That had me wondering, as I read the post excerpted above, when the new restaurant would be opening. Then I came to my senses and realized it’s peak season in Nantucket now and the restaurant would have opened weeks ago. I headed to an online Nantucket restaurant guide to find the name of the restaurant now located at 21 Federal Street. It turned out to be the last one listed: Ventuno. We will miss 21 Federal, but we’ll need to move on. I suppose we’ll give Ventuno a try. It’s just steps away from Nantucket’s best-known Italian restaurant, DeMarco, which we had anticipated dining at again. I don’t know if we’ll want to eat at both. But a look at Ventuno’s online menu suggests that we’ll have no trouble finding food we’ll want to try. I’ll have more to say in September.